Access to all days of MEO Sudoeste 2019 from 6th to 10th August, 2019. Camping access from 3rd to 11th August included. Exchange of ticket for bracelet is mandatory before entering the venue. Minimum age: No entry to children under 6 years, inclusive. Children from the age of 6 must be accompanied by an adult, both ticket holders. No refund will be given in case of mistakes when booking tickets. Access to MEO Sudoeste 2019 on Wednesday, 7th August, 2019. No re-entry. Doesn’t give access to the festival camping. Minimum age: No entry to children under 6 years, inclusive. Children from the age of 6 must be accompanied by an adult, both ticket holders. No refund will be given in case of mistakes when booking tickets. Access to MEO Sudoeste 2019 on Thursday, 8th August, 2019. No re-entry. Doesn’t give access to the festival camping. Minimum age: No entry to children under 6 years, inclusive. Children from the age of 6 must be accompanied by an adult, both ticket holders. No refund will be given in case of mistakes when booking tickets. Access to MEO Sudoeste 2019 on Friday, 9th August, 2019. No re-entry. Doesn’t give access to the festival camping. Minimum age: No entry to children under 6 years, inclusive. Children from the age of 6 must be accompanied by an adult, both ticket holders. No refund will be given in case of mistakes when booking tickets. Access to MEO Sudoeste 2019 on Saturday, 10th August, 2019. No re-entry. Doesn’t give access to the festival camping. Minimum age: No entry to children under 6 years, inclusive. Children from the age of 6 must be accompanied by an adult, both ticket holders. No refund will be given in case of mistakes when booking tickets. Purchase your Full Pass using the Youth Card. Access to all days of MEO Sudoeste 2019 from 6th to 10th August, 2019. Camping access from 3rd to 11th August included. Exchange of ticket for bracelet is mandatory before entering the venue. Minimum age: No entry to children under 6 years, inclusive. Children from the age of 6 must be accompanied by an adult, both ticket holders. No refund will be given in case of mistakes when booking tickets. Access to all days of MEO Sudoeste 2019 to the venue from 6th to 10th August, 2019. Camping access not included. Exchange of ticket for bracelet is mandatory before entering the venue. It includes entrance to the exclusive area of ​​the festival grounds, where it has: front stage, lounge area, food court, bars and separate WCs. Exchange of ticket for bracelet is mandatory before entering the venue. Minimum age: No entry to children under 6 years, inclusive. Children from the age of 6 must be accompanied by an adult, both ticket holders. No refund will be given in case of mistakes when booking tickets. Access to all days of MEO Sudoeste 2019 from 6th to 10th August, 2019. This ticket gives you access to the enclosure and to the camping in reserved area from 3rd to 11th August, sealed, with security and separate WCs. It also includes entrance to the exclusive area of ​​the festival grounds, where it has: front stage, lounge area, food court, bars and separate WCs. Exchange of ticket for bracelet is mandatory before entering the venue. Minimum age: No entry to children under 6 years, inclusive. Children from the age of 6 must be accompanied by an adult, both ticket holders. No refund will be given in case of mistakes when booking tickets. 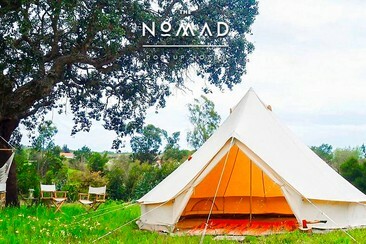 1 pre-pitched tent for 2 people within the camping area of the MEO Sudoeste festival. Includes: One easy to assemble tent for 2 people and two mattresses. 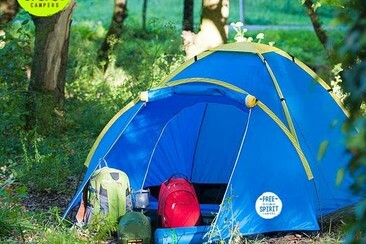 Security deposit: A refundable deposit of €30 will be required when collecting the equipment from the campsite and reserved for Free Spirit Campers. The deposit will be returned to you when you return the equipment in the same way you received it and no damage was caused. 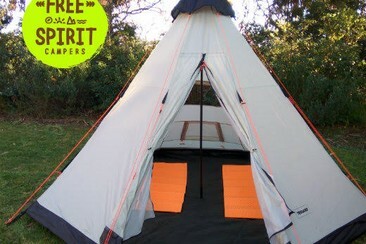 This package will be set up by the customer outside the Free Spirit Campers camping area. The tent is intended to be set up in the general camping area of the festival. The customer will be responsible for assembling and maintaining the equipment in good condition. We will not be responsible for the equipment in case of theft. The festival ticket or area reserved to assemble the equipment are not included in the package. 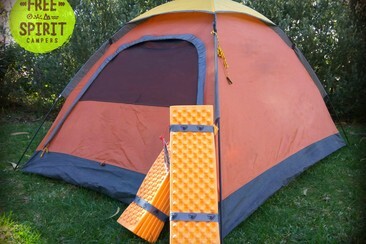 Pack Classic Tent 1 pre-pitched tent for 2 people + mats within the Free Spirit Campers Campsite of the MEO Sudoeste festival. 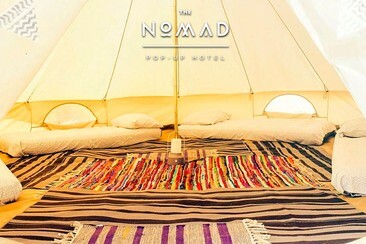 The pack includes accommodation in the Free Spirit Campers area in a comfortable tent for two with mats included. The camping area has 24/7 security 2, a mobile phone charging area, a leisure area and a lounge. Tent dimensions: 1.8m (width) x 3.20m (length) x 1.12m (height). 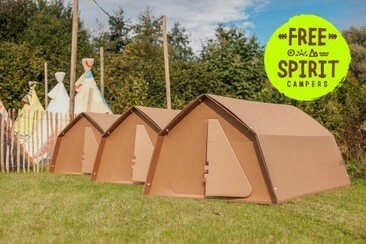 Space area: 5,76m2 A Free Spirit Campers wristband is required to access this camping area. 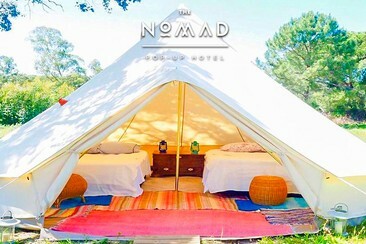 Includes: Pre-pitched tipi tent with mosquito net, very spacious and luminous, accommodating up to 4 people in the Free Spirit Campers area. Includes 4 individual mats. Dimensions of the tent: 3.5 m x 3.5 m x 2.50 m high. Space area 12.25 m2. HS Milfontes Beach is located on the main beach avenue in Vila Nova de Milfontes. It enjoys the most amazing views of the Mira river bay, the Atlantic and Furnas beach, officially one of Portugal’s Seven Wonders. The 3-star hotel has 28 rooms, outdoor pool, gym, restaurant and a great bar. Almost the rooms have either full sea view or pool view. The restaurants are worthy of a special mention – there are two restaurants at HS Milfontes Beach, all with panoramic views of the river bay, all with a fantastic kitchen catering for various culinary preferences. The HS Gin Bar is an excellent place to have a drink whilst contemplating the beach. Guests staying at HS Milfontes Beach have free access to the facilities and can enjoy all the activities available at any of the Group’s hotels. There is free parking on site. Hotel Rural Moita Mar is situated in the Natural Park of SW Alentejano near Vila Nova de Milfontes (5 km) and only 3 km from Praia das Furnas (the best river beach in Portugal). This hotel offers an outdoor swimming pool and a sun terrace. 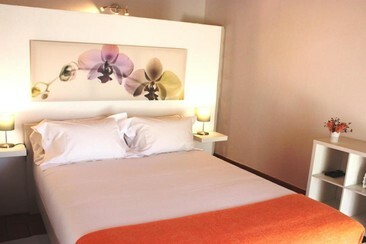 All rooms have a flat-screen TV, central heating, air dryer and a private bathroom with bath. 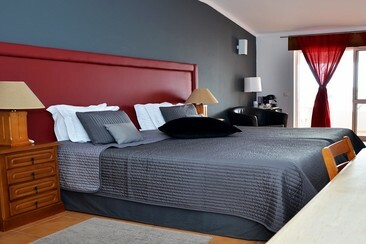 The superior rooms also have a private terrace and a minibar. At the complex, guests have at their disposal a bar, dinner service (booked in advance), free parking and Wifi (common areas) and a shared lounge with a small library and a satellite TV. Hotel Rural Moita Mar also offers to guests a tennis court, free bicycles, a small lake with rowing boats, a football field for kids and an extensive grassed area where you can relax and enjoy the sunset. This package includes the return bus, the Festival ticket and the camping on our private camping area (Xbus Village). A return coach operated by X-Travel. Return coach operated by Viajexpres. Includes Return bus trip, luggage, VAT and fees, Civil Liability Insurance. Management costs not included. With Car Camping you can camp in your own camping area next to the car. Valid for the camping dates from 3rd to 11th August, 2019 NOTE: To purchase this upgrade you must possess a valid Full Pass (6th - 10th August). Minimum age: No entry to children under 6 years, inclusive. Children from the age of 6 must be accompanied by an adult, both ticket holders. No refund will be given in case of mistakes when booking tickets. With Park & ​​Tent you can camp with your own tent next to the car on the same day for which you purchased the daily ticket. NOTE: To purchase this upgrade you must have the daily ticket corresponding to the day of Park & Tent (it does not give access to the general camping of the Festival). Minimum age: No entry to children under 6 years, inclusive. Children from the age of 6 must be accompanied by an adult, both ticket holders. No refund will be given in case of mistakes when booking tickets. To purchase this upgrade you must have the daily ticket corresponding to the day of Park & Tent! Odeceixe beach is one of the most beautiful beaches in the region and in 2012 was classified as one of the 7 Wonders of Portugal Beaches. The waves are perfect for all levels of surfing and bodyboarding and for those who have never tried or want to improve their skills, it will be a perfect opportunity to dare on an adventure with Surf Seixe Academy. Learn how to surf at one of the most beautiful Portugal beaches! A comfortable matress for you to enjoy!